GreenStar’s Council is its Board of Directors, the governing body that our member-owners elect to make policy decisions that affect the direction of the Co-op and to safeguard our assets. Council works with the General Manager to define how the Co-op’s long term goals will be reflected in store operations, making decisions about expansion possibilities, continuing our comprehensive revision of policies, and much more. Council functions best when it has a diverse and representative membership made up of committed and caring individuals. Typically, five of fifteen seats on GreenStar’s Council will be filled per election. Attend a Council Candidate Information Session. These hour-long sessions will be held at various times throughout the year. 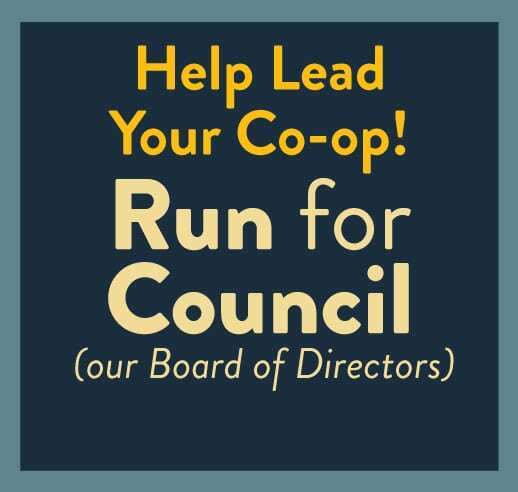 During the election period, candidates must attend two member-owner functions: the Spring Member Meeting (held in mid-April) and a Council Candidate Forum (also held in April). These events give Co-op owners an opportunity to meet you and ask questions before casting their vote. Submit the Declaration of Candidacy form by March 1 to appear on the ballot. Voting takes place through April. Get more information by contacting Council at governance@greenstar.coop. GreenStar’s Council seeks applications from Co-op members in good standing interested in serving on any of our various committees. You may nominate yourself or another member. Committees play a crucial role in providing research, preparation, and recommendations for proposals and issues to be voted on by Council. 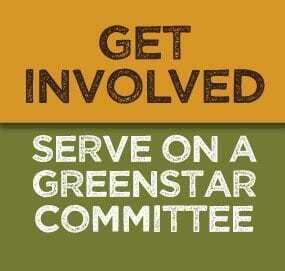 Committees have seats for Council members, staff, and other (“at-large”) GreenStar members. Committee members earn a 8% discount on purchases for their work. Learn more or apply now! – to Nurture a constructive, dynamic, and supportive cooperative community, and a culture of shared purpose and respect among people of diverse backgrounds. – to Foster cooperative attitudes, cooperative ownership as an alternative economic model, collaboration among cooperatives and like-minded businesses, and engagement with the larger co-op movement. – to Ensure local, democratic control of the cooperative through open participation in and transparent governance of a member-owned retail food store. – to Provide wholesome, healthy, affordable and ethical food choices, as well as quality goods and services to support a healthy lifestyle. – to Make a meaningful contribution toward ecological sustainability, including a zero-carbon footprint and increased local and regional food self-reliance. 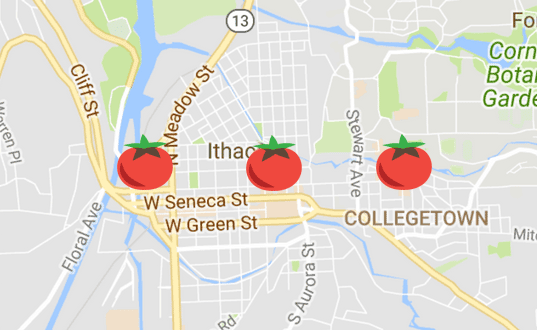 – to Ensure that its members and shoppers can learn about cooperatives, food, regional and community-based food systems, health, sustainability and social justice. – to Show by example that a successful business can be an empowering and safe work environment, committed to fair treatment of both people and animals, and dignity and non-discrimination for all, including those whose labor produces and provides the goods carried by the Co-op.